Mission Statement: Our aim is to make your boating experience more pleasurable by providing a problem-free way of moving your boat in and out of the water and storing it safely when not in use. Chris has been involved in the small sailboat world for over 20 years. Chris has worked in all aspects of the marine industry including retail, as a manufactures rep, product manager and in manufacturing. He has dedicated his life to fulfilling the needs of his dealer network and his direct customers. 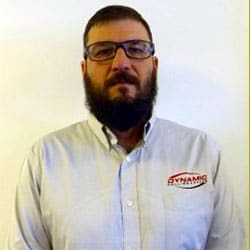 Chris is managing a team of dedicated colleagues who, like he, have worked in many aspects of the sailboat community and provide outstanding customer satisfaction. Before joining the Dynamic Dollies team, Ben worked in the marine retail industry at dinghy dealership in RI. Ben is an avid dinghy sailor and a regular on the international team racing circuit. He competes mainly in the Vanguard 15 Class of which he is a former class president. You’ll also see Ben at College Sailing regattas as an Assistant Coach for Boston University. Ben resides in East Greenwich, RI with his wife Anna and their son Jack. They are members of the East Greenwich Yacht Club where they enjoy cruising the Narragansett Bay on their Tiara 3500 “Oh No!”. 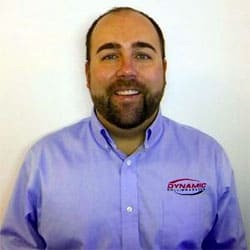 Dynamic Dollies and Racks is thrilled with the experience, knowledge, and professional network Ben brings to the team.